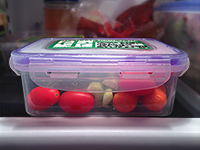 Give the Gift of Geocaching — and Get a Free Trackable! Finding the perfect gifts for the geocachers in your life is kind of like finding a geocache — you earn a smiley for both. And good news: we have you covered. Find the perfect gifts for your geocaching friends at Shop Geocaching (U.S. only) or with one of our International Distribution Partners. We would also like to put an extra smile on your face this holiday season. 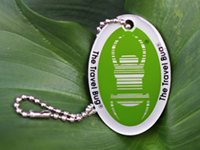 For a limited time, when you make a qualified minimum purchase from one of the participating retailers, you will receive Free Limited Edition Green Travel Bugs®. The more you spend the more free trackables you will earn (while supplies last)! Shop our Holiday Gift Guide! - Walk the Curonian Spit. This long sand dune divides the Curonian Lagoon from the Baltic Sea. - Tour the towns along Lithuania’s border by following this geocache series. - Find a geocache in Lithuania’s capital, Vilnius, which is known for its medieval old town. Check out Lithuania’s most-favorited geocaches and learn more in this Guide to Geocaching in Lithuania. Pssst… Country souvenirs are virtual pieces of art that are displayed on your Geocaching profile page when you find a geocache in certain locations. We’ll announce three more new country souvenirs in the coming weeks.